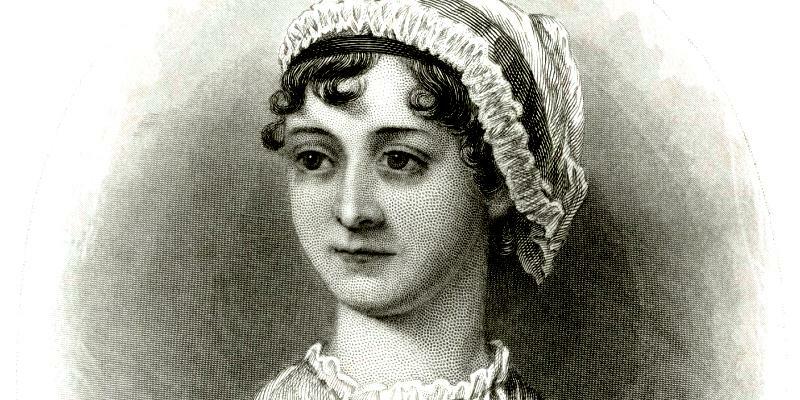 “Jane Austen’s ‘ugly duckling’ is very difficult to root for. Fanny Price does not fit the mold set by other strong women characters in literature,” writes Vidya Bhandarkar. The calm, sloping grounds, the green meadows, the manicured gardens alive with seasonal blossoms, the well-tended stables and the imposing, grand central mansion do not betray the storm brewing deep within Mansfield Park. The baron of the estate, Sir Thomas Bertram is the quintessential patriarch – a conformist, authoritative, intimidating, with-a-plan. A meticulously tailored and closely supervised upbringing and he is assured that his daughters (Maria and Julia) are suited to be married into aristocracy, and sons (Tom and Edmund) prepared to lord over large estates like himself. The arrival of the London-bred, brother-sister duo of Henry and Mary Crawford at Mansfield Park, with their liberal values – marrying for love, following a profession of one’s own choosing, questioning the sanctity of religion and the clergy – throws a spanner in the works. The Crawfords are charming, witty, beautiful and the Bertrams are enamoured. Soon unlikely friendships are forged, romantic alliances formed, hearts broken, and tempers ruffled. We watch these dramatic events unfold through the eyes of Fanny Price – a cousin of the Bertrams’, from a family with low means, alien to the ways of the affluent, mostly relegated to the fringes among Bertrams. Thomas Bertram’s compulsive need to be fondly and gratefully remembered by his kin and his often-masked kindness mean that Fanny Price (a daughter of Lady Bertram’s sister), 10 years of age, is plucked from her parents’ home – impoverished and littered with children – and sent to grow up with his own children at Mansfield Park. The displacement and the unfamiliarity of her new surroundings are unnerving to young Fanny, who is younger than the Bertram children. Moreover, by design, she is subordinated to the young Bertrams, taught never to expect equal treatment and reminded often to feel grateful to her foster family. Fanny Price is initially mildly amusing to the young Bertrams but is soon shrugged off as the ‘other’. She is never included in their games and adventures in the growing-up years. Under the watchful eyes of Mrs. Norris (another sister of Lady Bertram’s, married to Mr. Norris, the cleric at the Mansfield Parsonage) any inadvertent attempt by Fanny to overreach is shot down. She receives kindness, attention and counsel only from cousin Edmund with whom she develops an intimate friendship. The Crawfords too, when they arrive at Mansfield, mostly ignore Fanny. But as the story progresses, Fanny is pulled headlong into the thick of things. She must deal with her share of attention and confront her fears while living up to lofty ideals and morals she has set for herself. At the outset this book is Fanny’s metamorphosis from ugly duckling to majestic swan. But the similarity ended here for me. Jane Austen’s ‘ugly duckling’ is very difficult to root for. Fanny is weak (physically too) and servile. In the face of abuses and admonitions she tries hard to outdo herself in her service to the Bertram family. She dutifully runs errands for all and sundry and keeps the indolent and insensitive Lady Bertram company through the day; with no appreciation or acknowledgement coming her way. On the other hand, Fanny is very judgmental and quick to dismiss people as amoral, of having ulterior motives. She clearly loves her cousin Edmund, but nowhere in the course of the story does she show an inclination to admit the same to him. However, she resents the growing friendship between Edmund and Mary Crawford and her thoughts are laced with jealousy. While young people around her are wagering their hearts and having them broken, defying acceptable norms of behaviour and being rebels in their own rights Fanny’s disposition to remain at a ‘safe’ distance, do and say what is ‘right’ and her refusal to get her feet wet are exasperating and ensure that you do not develop a rapport with the character. Your heart goes out to the young Fanny who first arrives at Mansfield Park, the journey thereafter is of distancing and dissociating with the character. Finally, when the day of reckoning arrives for Fanny, I found myself fence-sitting. While I found myself disagreeing with Fanny at most junctures, there was one incident where I was made to feel at one with her. Having lived through her teenage firmly believing that she did not belong in the world of Mansfield Park, Fanny pays a brief visit to her parents at the crowded, polluted coastal town of Portsmouth. She is appalled by the squalor in which her family lives – a foul-mouthed, drunk father; a whining, perpetually busy mother who is indifferent to Fanny, squabbling brothers – and realises that she has left the working-class living of her family far behind. She yearns to return home to Mansfield Park. We know the contours in which we covet our leading ladies. They can recognise the hurdles of oppression and patriarchy and can wind their way around these to stand tall, if unable to challenge or subvert them (Elizabeth Bennet). They are disillusioned, cynical and have chosen to suffer long and hard, while deriving consolation from their covert acts of defiance (Madame Bovary, Anna Karenina). They present to us moments when we feel one with the feminine creed and identify with its struggles. But Fanny Price does not fit the mold. The character is too complex and raw. Jane Austen may have, by creating Fanny Price, wanted to draw our attention to the idea that to identify persecution and rebel against it requires a position of privilege which Fanny clearly did not possess. Vidya Bhandarkar is a resident of Bengaluru and an avid reader. An engineer by profession, she has written short stories and reviewed books and films in the past.